Iran's moderate leader (well, moderate by Iranian standards) Hassan Rouhani was re-elected after smarting under a tough challenge by a conservative Ebrahim Raisi. His success in gaining a second term is in line with the history of Iran, as every incumbent leader has been re-elected since 1981. It has, however, put a premium on popular desire for continuation of rapprochement with the West. Big question: Can Rouhani deliver in the face of heavy odds after Donald Trump's latest rhetoric and tilt towards Saudi Arabia, which vehemently opposed the U.S.-Iran nuclear deal? He can at least try, just as he did in the past to some extent successfully. Iran has been through a very tough period of economic sanctions. According to some reports, it lost $50 billon every year from the constraints. However, under Rouhani, common sense has prevailed after years of futile resistance, and Iran agreed to cap its nuclear program in 2015. This has had a positive impact on the economy. The deal also showed a shift in American policy under Barack Obama, who was skeptical of Saudi Arabia, and was also critical of Israel. Iran, by default, was the beneficiary of any deterioration in American ties with these two countries. The situation has changed under Donald Trump, who selected Saudi Arabia for his first foreign trip, followed by a visit to Israel. He signed a $110 billon arms sale deal with the Saudis, the biggest such deal in American history. Next, came a loud and clear message to Iran by Trump in his speech at the summit with the Muslim leaders. He has been critical of the nuclear deal and there is little chance he will lower pressure on Iran. What are policy options for Rouhani if he tries to reengage with the U.S.? The challenges are dual in nature. First, domestic rivals driven by decades of anti-American policies are not ready to given in. Apparently, the Supreme Leader is also inclined toward such elements, who may frustrate any concessions aimed at improving ties with the West. The second hurdle is the new U.S. administration. Rouhani may not get the kind of support he received from Obama and John Kerry. Rather, there is sure to be resistance for any leniency towards Teheran. Yet, Rouhani should continue to offer olive branch by avoiding any confrontation with regional rivals or the U.S. If he had the nuclear issue in hand to use as bargaining chip in his first term, he can use his leverage over Syrian leader Bashar al-Assad to wriggle out of any American-led pressure during the second. Apart from Iran's clout in Syria, it has useful allies in Lebanon, Iraq and Yemen, where a peace-building role can open up new ways for confidence-building with the West. The most powerful policy tool Iran can use in coming days is its role in fighting and defeating the ISIS. The militant group is a common enemy of America, Saudi Arabia, Israel and several other countries. By supporting Iraqi efforts and coordinating with leading players in Syria against ISIS, Iran can carve out a strategic position. Last, Iran's energy reserves and its efforts to seek investment and trade deals with the West can also serve Rouhani. The nuclear agreement has already brought deals worth billions of dollars as Western firms showed eagerness to do business in aviation and oil sectors. 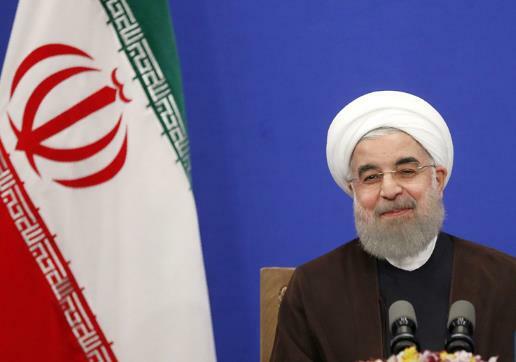 Rouhani has track record of economic improvement. GDP grew by 4.5 percent in 2016 and unemployment fell from 15 percent when he took over to 10 percent last year. He should lead Iran out of the myth of so called "resistance economy" which has limited utility. The West should also grab the opportunity and help Rouhani. Otherwise, in another four years, the world would have to deal with someone like Ahmadinejad whose empty rants against America and Israel were a headache to his adversaries while giving little comfort to millions of Iranians who deserve a better life. The Iranian people, despite odds and limited options, voted for a man who offered them hope and peace. Let us see if the U.S. and its allies would respect their verdict. Iranians voted for a man who offered peace and hope by re-electing Hassan Rouhani as President. Now it's up to America and its allies to support them.